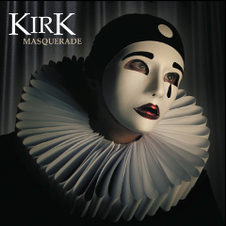 Swiss Melodic Metallers KIRK is back with a new album "Masquerade" which will be released worldwide through Mausoleum Records on March 7th 2014. 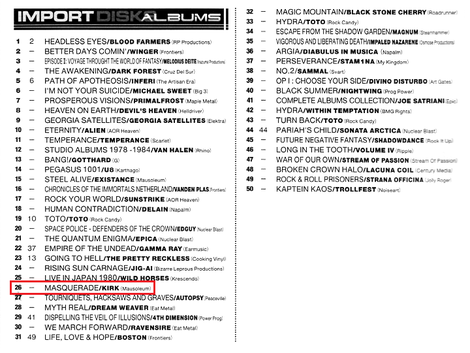 It features members of Godiva, Dr. Crankenstein, In your Face and Decent Disaster, and produced again by Dennis Ward (Pink Cream 69, Unisonic, Khymera, Angra, Eden’s Curse, Godiva, Krokus). It's been a decade, since their debut album "The Final Dance" was released in 2003, which was well received, especially, not only in Europe and North America, but also in Japan. Drawing from the decade of honed skills and experience garnered as members of various internationally successful recording and touring outfits, KIRK rapidly has morphed into a powerful melodic hard rocking monster. The band will be on a tour with The Poodles and Crystal Ball in Italy and Germany from March 14th.